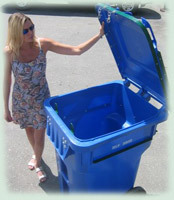 BearProofContainers.com was established in response to an increasing demand across Western Canada for human/bear conflict solutions.The site is owned and operated by Rollins Machinery Limited, British Columbia’s largest supplier of refuse, recycling, light industrial, and golf course equipment. 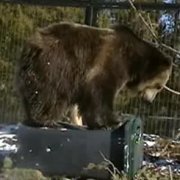 Rollins is the market leader when it comes to bear-resistant bins; we have over 10,000 Haul-All containers AND over 10,000 Rollins residential carts in British Columbia. Our goal is to work with districts, non-profit associations, and concerned homeowners to reduce bear/human conflicts and increase community safety. By reconditioning bears that there is no reward in scavenging through community garbage we can continue to increase the safety of communities and reduce the staggering number of bears that are killed every year by getting too close to humans. Animal proof waste is the most significant step towards sustainability of our shared wilderness areas.